+BTB is now free!!! The only current limitation is that you can only have 3 recipes in your recipe list. To go above 3 requires an In App Purchase. All purchasers of the version 1 for fee app will get this In App Purchase for free. This should happen automatically. 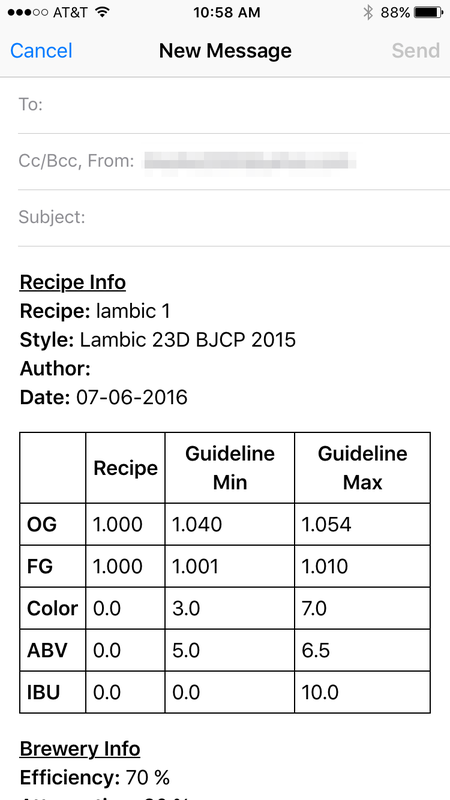 +Copying Recipes – just left swipe on a recipe in your recipe list and press “Copy” and it will make a full copy of your recipe and add “COPY” to the end of the name. With version 1.3, there is now a Water section in Recipes where you can see your pH and Ion levels throughout the brewing process and adjust your Mash and Sparge additions to get your pH and Ions where you want. Big Thank You to Kai Troester (Braukaiser) and D. Mark Riffe for their work in this area. The math behind this tool is based on their findings. In order to make it faster to use the tools within BTB, I have added a User Profile section. Now your preferred settings are set by default for the various tools and can be injected into new recipes. Now you can easily print or share your recipes. 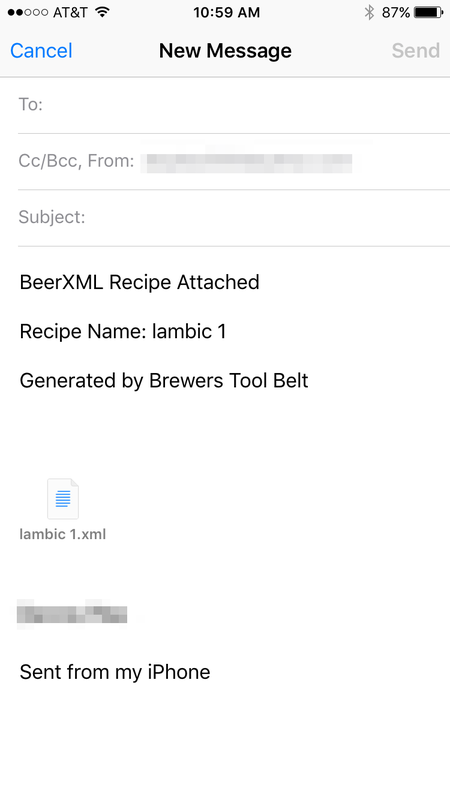 Just email in a nice printable format or BeerXML. 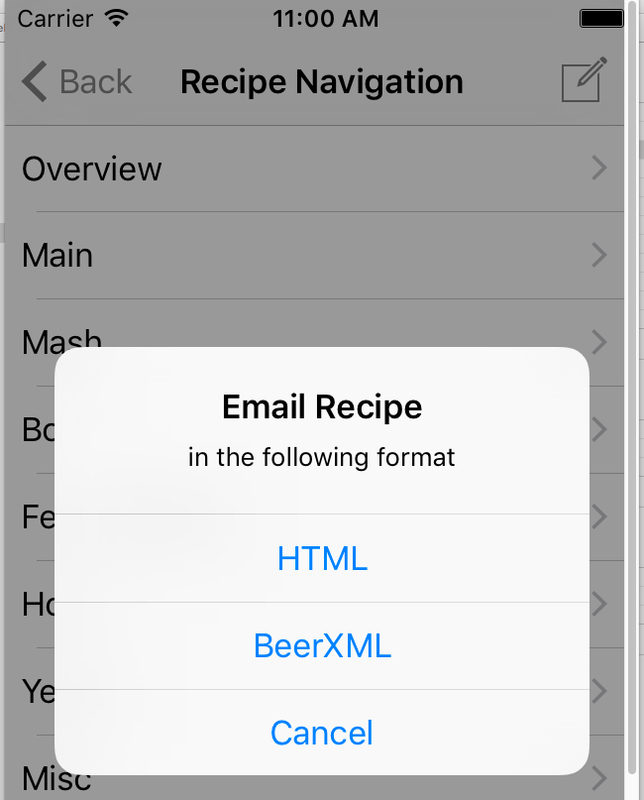 With BeerXML, you can import it into many desktop and web based recipe tools such as BeerSmith, BeerTools Pro, BrewToad and BrewersFriend. Please share any thoughts or feedback. I really want to hear what you think and any ideas you have on how to improve Brewers Tool Belt. Please use this contact page. I’m happy to email directly but I use this page as the initial contact to keep spammers at bay. Of course there are a million things I’d like to do but I’ll likely start with adding the other tools that I built for Brewdesign. My next target is the Recipe tool and the Water Adjustment tool (Ions and pH). If you have input on what tools you’d like to see added, please let me know!